Networking – A skill you can learn or is it simply nature? This week’s post is written by Lesley Price (@lesleywprice). Lesley is a co-founder of the #chat2lrn crew and now, although supposedly ‘semi-retired’, she works part-time for Learn Appeal and continues to love challenging and being challenged! In the Learning and Development community, we so often refer to our #PLN, Personal Learning Network, and the benefits we get from being part of a network. I attended the LPI Annual Conference, Learning Live two weeks ago and it was great to see so many people I knew. In fact, there were so many, it was difficult to find the time to speak to all of them. Over the two days, I had lots of interesting conversations about the event, catching up with people and hearing about things they were working on. However, with many, I only seemed to have time to say ‘Hi – we must chat later’ or even worse, just waving across a busy room whilst making a mental note to speak to them over the course of the two days. Some I managed to talk to, but others it was simply left with an acknowledgement and a wave. I was also introduced to people I had never met before, so my network is still growing. I know that I have a very wide network, in fact a world-wide network which I find invaluable, but it then started me thinking about how my network evolved. Was it by chance? It is because of conversations I have when I meet people? Is it nature or nurture or maybe a bit of both? If I can’t find the time to talk to everybody I know at an event, is it because I know too many people? Can your network get so big that it actually becomes unmanageable and if it does what can you do about it? Is networking a skill that you can develop? Time is finite – there are never going to be more than 24 hours in a day. 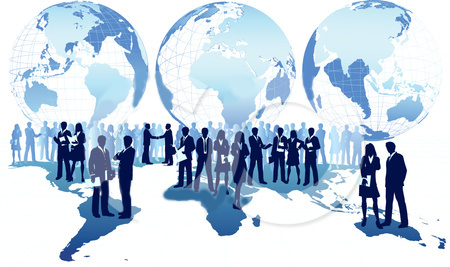 Effective networking is not just about meeting people, networks also take time and effort. So how much time does it take to maintain a network? How do we decide which parts of our network we foster regularly? How do we work out the bits of our network that we can dip in and out of because they are self-sufficient and which networks do we neglect because we simply don’t have the time. As if that isn’t enough, we also have to think about how we connect with our networks. Is it face-to-face, by using social media or by emails and phone calls? I was fortunate in that I learned many of these skills from my parents, particularly my mother. She also taught me what I should look for when I moved into the workplace and that I could learn by watching and listening. Personally, I believe that networking is an invaluable skill that we can develop, but how can we nurture it in others? Join us in #chat2lrn on Thursday 22 September 0.8.00 PDT/11.00 EDT /16.00 BST to see if, between us, we can hone our own networking skills and learn how to foster them in others. Open Badges: A record of achievement or a childish gimmick?